Each Area Above Offers a Unique Lifestyle of Living - Select a Location and Find Your Dream Home. FREE Central Florida MLS Property Search! 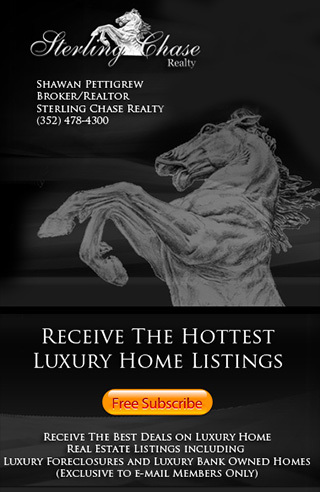 View 1000's of Homes for Sale including Luxury Houses, Mega Mansions, Multi Million Dollar Homes, Luxury Foreclosures, Golf Course Homes and Gated Communities. Our interactive map based MLS makes finding your dream home easy.